Experience your best vacations with Gulet Cruise Selection! Gulet Cruise Selection awaits you! Sail with us! A Gulet is a traditional, fully crewed, wooden motor-sailing vessel designed for comfortable and luxurious cruising - a "floating hotel". Although gulets do use the wind power when the winds allow, mostly they are propelled by engine power. Their size ranges from 15m-33m air-conditioned, convenient and luxurious boats. This schooner type of boat used to be used as a sweeping net, trawl net or sponging vessel in Turkey, in the Aegean and Mediterranean seas as well as a freight boat in the Black Sea. Gulets we know today are known as the Bodrum type of schooners and they were designated to carry tourists visiting the Aegean region. There are three types of gulets - a Schooner-type gulet, a cruising vessel with large, rounded stern area well-suited for comfortable eating and lounging, for 6-16 persons;a Ketch, with a raised, squared-off stern, accomodating 8-24 persons and Tirhandil, the oldest type of wooden boat with a pointed stern for 6-8 persons. One of the biggest and most comfortable gulets, providing amazing cruising experience along the coast and islands. Luxurious gulet accommodating 12 guests in 6 beautiful cabins, offering interesting cruises you will never forget. Small, comfortable 4-cabin gulet for a smaller company, an ideal place to relax and enjoy tasty Mediterranean food. 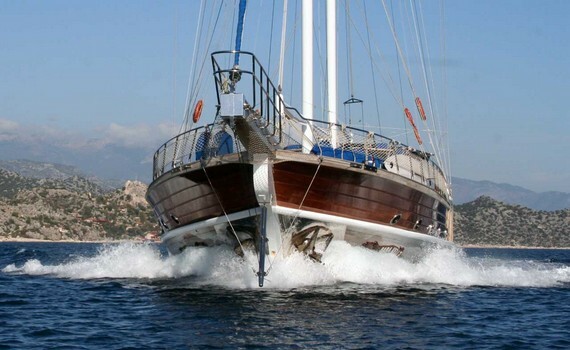 So you have chosen a gulet for your sailing journey and want to get a glimpse of what your days will be like? 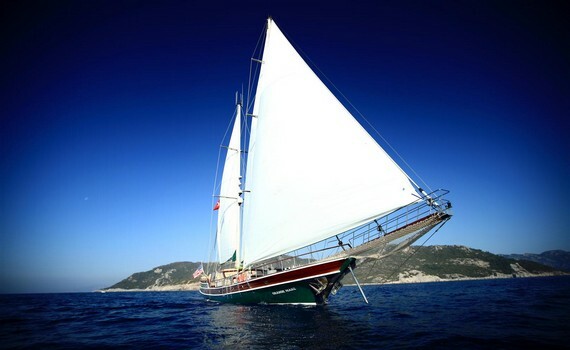 Here is a description of a typical day on a charter gulet cruise. 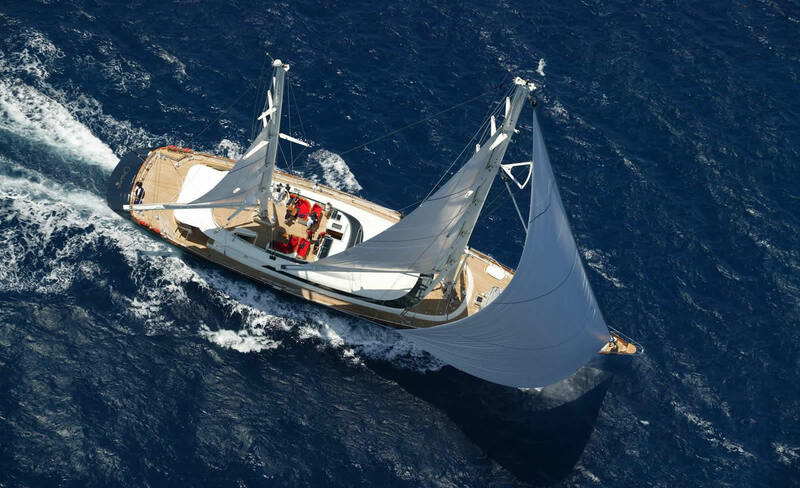 If you have ever been aboard any sailboat, you will come to see that a gulet is not so different. The major benefit is that a gulet cruise gives you the opportunity for a hassle-free, relaxed and comfortable sailing holiday, since less sailing is done than on other sailing boats. On the first day of your gulet cruise, you begin your journey with a welcome meeting on deck, where you will find out more about the route you will be sailing and some safety issues. 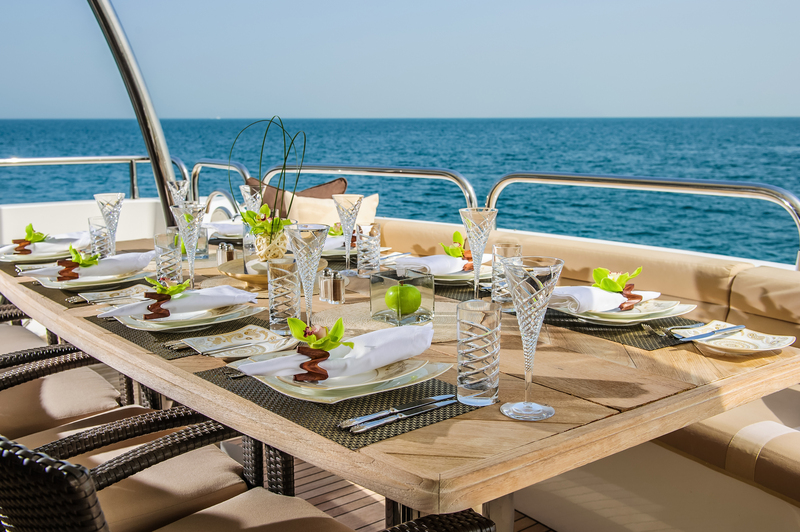 After that, you will depart towards the determined destination and can enjoy a delightful breakfast, prepared by an experienced chef you have on board as part of your crew. Later, you can go for a morning swim in one of the beautiful secluded bays your charter gulet will take you to and enjoy until lunch. All meals on a gulet cruise are prepared from the freshest local ingredients and served on the aft deck, so you can enjoy the sound and view of the sea as you indulge in the exquisite tastes of the local cuisine. After lunch you visit a new bay (or stay at the same one if you like) and go for an afternoon swim, or do other activities, such as fishing with the boat's equipment, water-skiing or snorkeling. If you are not a fan of water activities, you can always spend time reading or playing social games. If you are moored in a port, you can spend your day sightseeing and exploring the shore around the port. Evenings are typically spent onshore, where you can explore the port town, have dinner in one of the town's restaurants or enjoy the local nightlife. The choice is yours. Since you will get a fully crewed gulet, all you have to do on your gulet cruise is sit back, relax and enjoy the holiday of a lifetime. Gulets are extremely popular types of boats in Mediterranean area, and as such, they can be found in all top sailing destinations in abundance. For specific offers and available sailing arrangements in top destinations, you should refer to our dedicated websites such as A Yacht Charter Turkey and A Yacht Charter Italy. 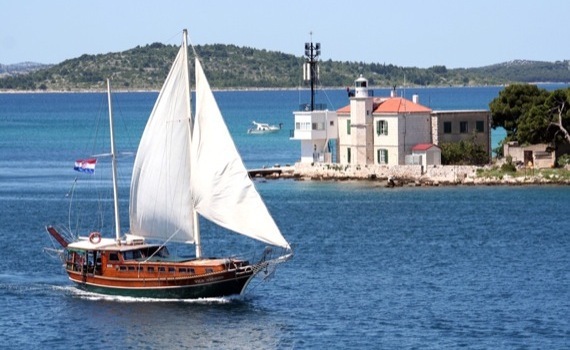 For even more yacht charter opportunities visit A Yacht Charter Croatia or A Yacht Charter Greece.